That’s right, Baptiste is now available to play in Overwatch’s ranked mode and he’s sure to shake up the meta a bit. Baptiste draws some comparisons with sniper-medic Ana, as he requires rock-solid aim control when dishing out his Biotic Grenades which splash allies with healing juice. This doesn’t make him the easiest hero to use, but players who can snap to their allies and accurately dish out his healing orbs will have a huge impact on the team’s overall strength. Moving onto Baptiste's other abilities, and there are two in particular which truly make him unique. He’s able to lay down an Immortality Field which can protect allies from certain death and his ultimate, Amplification Matrix, doubles the damage or healing of projectiles which pass through it. It’s easy to imagine these abilities will translate nicely into the Overwatch League, but it remains to be seen whether they’re enough to hamstring the notorious GOATS comp rampaging through each and every map played. 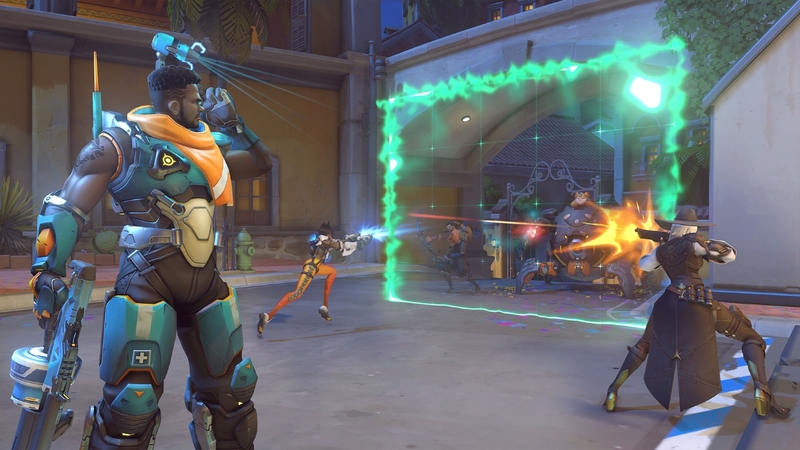 Judging by some community and pro reactions, Baptiste’s abilities may not have quite as much of an impact on the meta as people may think. Sure, his Immortality Field may be able to negate fatal enemy ultimates at the last second, but it’s also static, which means it’ll likely be easily countered by mobile heroes who know exactly what to look out for. Instead, Baptiste may work nicely with a “Bunker” composition. His kit would feel right at home with a team made of up heroes like Orisa, Reinhardt and Brigitte who are adept at hunkering down, soaking up plenty of punishment and outlasting the enemies’ offense. It’ll be interesting to see the reception to Baptiste now that players are able to get serious with him on the ranked ladder.